I'm delighted to announce official start of the preorder for FLOEX Samorost 3 Soundtrack release on 2LP/CD now. The 180 gram vinyl edition is housed in massive glossy-laminated gatefold cover with set of six 29 x 29 cm full-colored inlays with art reproductions by Adolf Lachman and features a coupon with a code to download 24-bit FLAC version of the album. Also, there are two vinyl editions pressed and available for preorder via Minority Records online store: transparent green and black colors. As always, vinyl is pressed in audiophile quality at Pallas pressing plant in Germany. CD edition is housed in glossy-laminated digipak. Audio recording for both editions was meticulously mastered by Matouš Godík at ZKA4T Studio in Prague. Please place your preorders at http://store.minorityrecords.com/ and your copy will be sent off right before its official release date on November 1st. Every order via Minority Records website also has an immediate album download option in FLAC, ALAC and MP3 formats for you. !!! 70% OFF on Samorost 3 Soundtrack 2xLP/CD !!! Happy New Year to everyone. 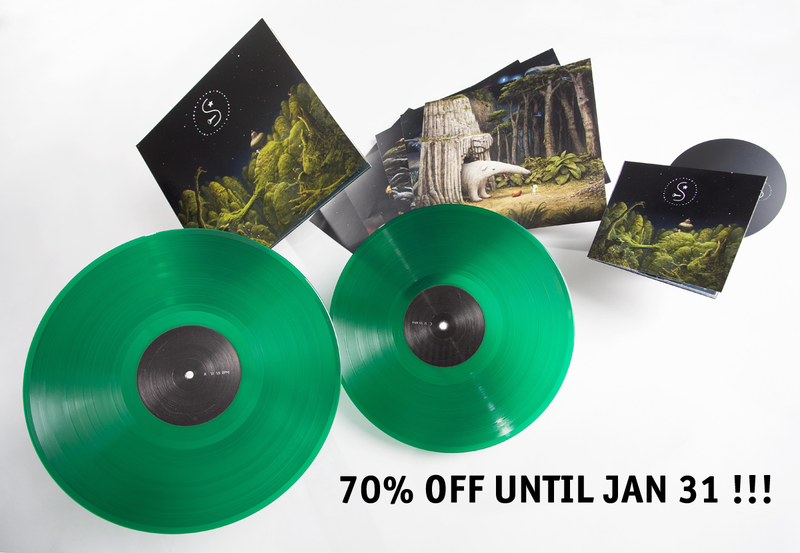 Due to much required warehouse space, Samorost 3 Soundtrack on 2LP (green and black 180 gram vinyls) and CD is now 70% off on retail price when ordering via Minority Records online store. You only need to apply S3-2018 code during checkout to activate this discount. Discount is valid until January 31st midnight CET. Thank you a lot!